Evelyn spends lots of her free time drawing pictures and creating artwork. 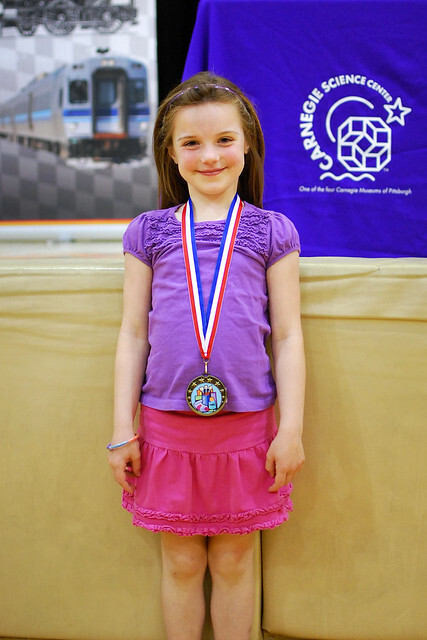 At tonight's Art & Science Fair at school she was excited to receive a medal for a drawing she submitted. We also enjoyed a presentation sponsored by the Carnegie Science Center. Hydrogen fireballs are always cool. Way to go, Evy! Your award is very exciting. Keep drawing! You'll have to take a picture of your artwork and let us see what you drew. Grandma C.